EDINBURG — Mikey Garcia was aware of what he was getting himself into. Mission Veterans coach David Gilpin let Garcia know during spring practice about what his role would look like for the 2017 season. Two 1,000-yard wide receivers graduated after the 2016 season which meant Garcia wouldn’t simply be one of the top receiving targets on the team. He was expected to be the top receiving target in the Patriots’ high-powered offense. After 78 catches, 1,364 receiving yards and 12 touchdown receptions, Garcia wasn’t only the Patriots’ best but he was the Valley’s best. For his achievements, the sophomore was selected as The Monitor’s All-Area Newcomer of the Year. 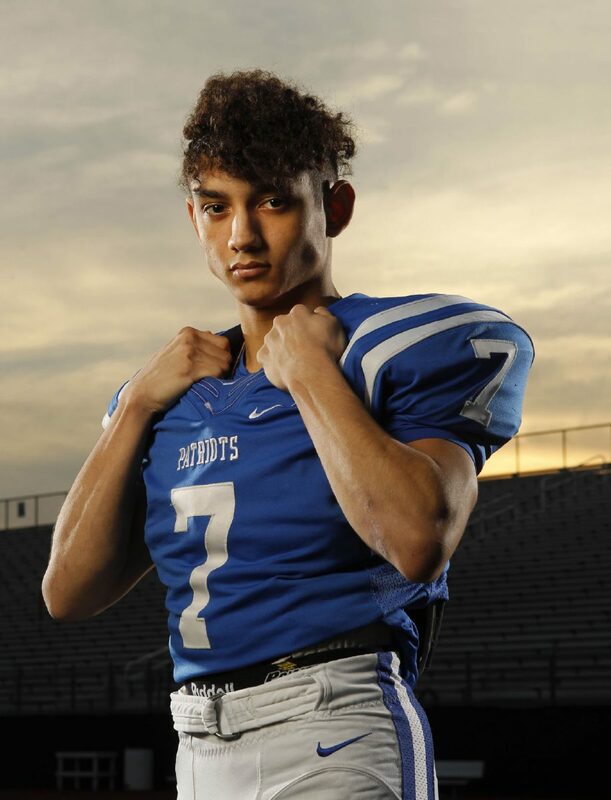 All-Area Football Newcomer of the Year receiver Mikey Garcia of Mission Veterans. Mikey’s father, Gilbert, is one of the driving forces for Mikey to becoming a better football player. A former Mission High quarterback himself, Gilbert understands the gravity of the honor. Ben Gonzales is Mikey’s wide receiver coach at Mission Veterans. Gonzales is quite familiar with the Garcia family since he coached Gilbert in football and basketball while he and Mikey’s mother, Sara Rendon, attended Kenneth E. White Junior High in Mission during the late 1990s. “It’s an honor to coach the children of kids that we’ve coached before,” Gonzales said. “In Mikey, I see the athleticism which he gets from his dad. He gets his speed from his mom who ran track for us. He’s got a little bit of both in him. Gilbert and Mikey regularly go over game tape together and point out instances where he can improve. “Sometimes I can be a little hard on him,” Gilbert said. “I’d tell him he did a good job, but he could always do better. Then he’d ask me if it (his performance) was ever good enough and I’d tell him it won’t always be because that’s how life is. There are going to be ups and downs. 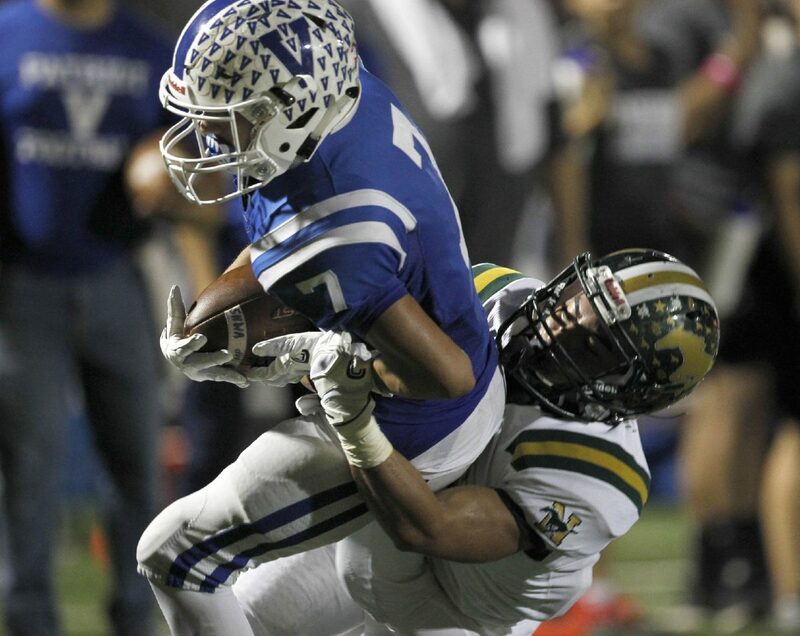 Now that he has the distinction of the area’s top newcomer and two seasons of football ahead of him, Garcia sees where the holes in his game are and what it will take to fill them in.